The sweetest celebration on the First Coast is coming this weekend! 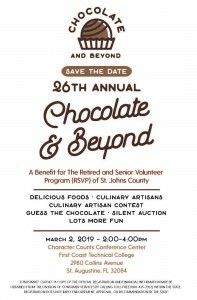 The 26th annual Chocolate & Beyond celebration is coming to First Coast Technical College this Saturday, March 2, from 2 to 4 p.m. Visitors will be treated to samples of locally made chocolates, desserts and other sweets from some of our area’s finest restaurants and specialty shops. Guests will have the chance to participate in a raffle, “Guess the Number of Chocolates” contest and silent auction. The auction will include hotel and restaurant gift certificates, sports memorabilia and admission tickets for local attractions and events. Event proceeds benefit the Retired and Senior Volunteer Program (RSVP) of St. Johns County. Its primary focus is on recruiting, training and placing senior volunteers, which number nearly 150, into St. Johns County schools to mentor and tutor students in reading and math. The volunteers also assist in the Head Start preschool reading program. By next spring, northern St. Johns County residents will enjoy the benefits of close-by amenities just like our Jacksonville neighbors. With the development of the Pavilion at Durbin Park, World Golf Village and other northern SJC residents will have easy access to popular shops, restaurants and entertainment. Tucked between Race Track Road and the new 9B connector, the town center is comprised of multiple phases and will cover 1,600 acres. Many of the Phase 1 businesses are expected to open by spring 2019. In fact, the new Walmart is already open. Thanks to 9B’s completion and the new CR 2209 roadway construction through Silverleaf (connecting CR 210 to SR 16), getting to Durbin Park will soon be easier for World Golf Village residents. 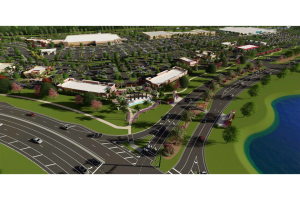 Once completed, Durbin Park will feature the largest shopping center in Northeast Florida. In addition to stores and restaurants, development is planned for hotels, office space and multifamily residential units. Durbin Park will also boast greenspace and bike trails. Did you know the datil pepper is the official plant of St. Johns County (or that we have an official plant)? That’s right, our official plant is the datil (up to 300,000 on the Scoville scale, on par with the orange habanero in terms of heat). In fact, St. Augustine is the world’s top producer of the datil pepper. 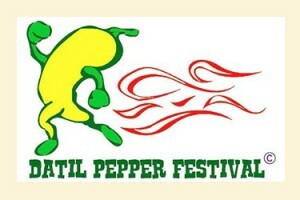 To celebrate, the city is hosting its 11th Annual Datil Pepper Festival this weekend at the UF/IFAS Extension St. Johns County Agricultural Center (3125 Agricultural Center Drive). The Saturday hours are 9 a.m. to 4 p.m. and Sunday hours are 10 a.m. to 3 p.m. Admission and parking are FREE! Attendees will enjoy a wide variety of vendors, a food court, rain barrels for sale, and the popular Master Gardener plant sale. Tours of the arboretum and community gardens will be led by UF Master Gardeners throughout the weekend. The World Golf Hall of Fame celebrates the history, heritage and traditions of golf. The World Golf Village (WGV) community-at-large celebrates its ever-evolving special place through continued good-growth in a Live Oak punctuated landscape that is well on its way to making its own history and establishing its own legacy. The original neighborhoods of Turnberry, Royal Pines, St. Andrews, The Legends, Meadows and Heritage Landing are all complete – with over 2,200 homes. The King and Bear neighborhoods are 92% occupied, with 892 of their 968 homes complete. The first WGV age-restricted neighborhood is thoroughly-well established with 450 single-family homes in The Cascades. 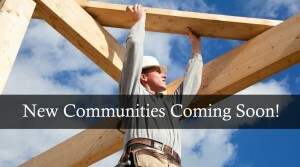 Recently, there has been a resurgence of home-building that is filling out and completing many of the associated WGV neighborhoods. Greenside at WGV is rapidly building 36 single family homes overlooking the Slammer & Squire #6 fairway. Legacy Trail is also nearing completion with 30 exclusive single family homes – most overlooking the #16 & #17 fairways of the Slammer & Squire. Greenside at World Golf Village, a new golf course community in northeast St. Johns County, has commenced construction on its first homes. 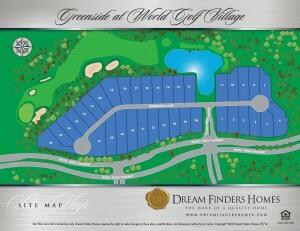 Located near the heart of World Golf Village, the DreamFinders community is becoming known for its central location and scenic lots. Most of Greenside’s 36 lots sit adjacent to the Slammer & Squire’s sixth fairway and green, water or nature preserve. 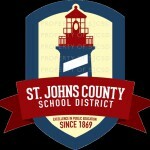 There are many things that make our little corner of St. Johns County a big draw for homebuyers. Residents are drawn to our beautiful landscapes, great schools, well-planned communities, fantastic location and healthy lifestyle. In fact, St. Johns County has been declared Florida’s healthiest county for the past six years according to the Robert Wood Johnson Foundation! Northern St. Johns County has become one of the area’s most desired locations for homebuyers. It’s no wonder! Residents enjoy quick access to Jacksonville and an A-rated school district—all set against a pastoral backdrop of live oaks and palm trees (not to mention great golf). In recent years, the area has experienced significant residential and commercial growth. The U.S. Census Bureau places St. Johns County as the 11th fastest-growing county in the U.S. (based on 2013/2014 estimates). ‘Tis the season of giving! To celebrate, Davidson Realty agent Mirtha Barzaga is sponsoring a holiday toy and food drive in the King & Bear on December 5 between 2 p.m. and 4 p.m. to benefit the Emergency Services & Homeless Coalition of St. Johns County. Mirtha invites the public to contribute to the drive, which will take place at the amenity center located on Oak Grove Avenue in the King & Bear in World Golf Village. For more than 25 years, the greater World Golf Village area has served as Northeast Florida’s premier destination for families, retirees, golf enthusiasts, nature lovers and everyone in between. Equal to our beautiful vistas and diverse neighborhood amenities, Villagers enjoy a convenient presence of shops, restaurants and local commerce. This is a great place to live, and it keeps getting better.